New Orleans, Louisiana, is home to some of the most spectacular displays of art, architecture, and design, the modern world has to offer. Paired with a stunning countryside, one part rolling hills and one part swampland, the scenic beauty of the "Crescent City" is unmistakable. Perhaps the most intriguing element of New Orleans is the historic, "Plantation Country." Situated west of the city along the Mighty Mississippi River, Plantation Country is home to some of the nation's few remaining Plantation estates. Revered for their beauty, elegance, and historical value, these properties have become key destinations for travelers, historians, and perhaps most interestingly, the film industry. Dozens of popular films have been shot utilizing the sights and sounds of the Plantation's for both historical legitimacy and down-home elegance. Below I have compiled a list of the 5 Most Popular New Orleans Plantations Featured in Film! Discover if any of your favorite pictures were filmed at one of these four Plantation homes! *Thinking about visiting a historic New Orleans' Plantation? Visit New Orleans Plantation Tours for great deals on Plantation Day Trips including 10% OFF with Promo Code: PLANT13. The oldest Plantation home in the lower Mississippi valley, and one of the oldest in the country, Destrehan is chock-full of mystery, history, and a classic elegance that must be experience to be felt. Past events of Destrehan include slave revolts, civil war scars, and notable owners and visitors including the infamous pirate "Jean Lafitte." With a strong history in civil rights and disputes, Destrehan has been chosen as the setting for various early-American themed flicks, especially those set in poverty and racial-discourse. "Monster's Ball," a 2001 drama starring Halle Berry, and "The Curious Case of Benjamin Button," a 2008 drama/romance starring Brad Pitt, are two major motion pictures that evoke the history of Destrehan. A melancholy yet hopeful impression resonates from the mansion walls and grounds, creating a perfect environment for deep set, internal struggles like those faced by Brad Pitt's character in Interview With the Vampire (also filmed at Destrehan along with Oak Alley). 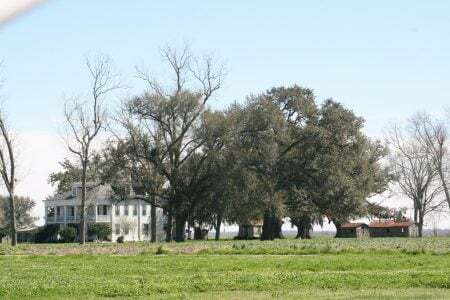 In more recent cinematic history, the powerhouse period drama "12 Years a Slave" had scenes filmed at numerous Plantations, including Destrehan. "Epps Barn" was created using a Mule Barn on the property. 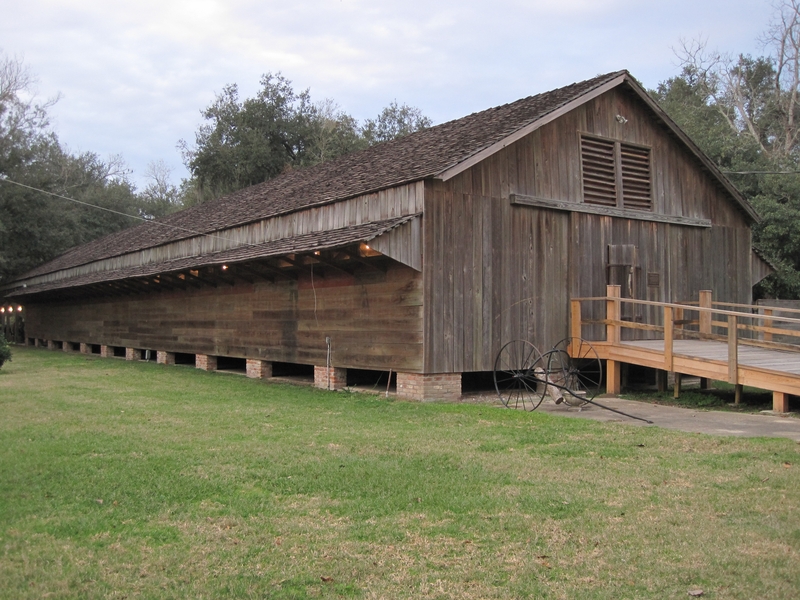 Visit Destrehan Plantation and SAVE by booking tours online at Tours of Destrehan Plantation! Oak Alley Plantation, originally Bon Sejour Plantation, was constructed in 1839. This beautiful estate became known as "Oak Alley" from the long stretch of 28 giant oaks leading the way to the mansion's front doorsteps. The natural beauty of Oak Alley's campus has laid the foundation for multiple Hollywood endeavors. Perhaps the most notable display regarding the grandeur of Oak Alley's landscapes is in the movie "Interview With The Vampire: The Vampire Chronicles." This 1994 box office sensation co-starring Brad Pitt and Tom Cruise utilized the scenic qualities of Oak Alley's Oak Trees and surrounding swamplands in many vital shots. In the modern TV era, there is no distance directors will not venture for the perfect atmosphere. In the hit HBO suspense thriller "True Detective" starring Matthew Mcconaughey and Woody Harrelson, Oak Alley's ancient and famous Oak's once again create a serene backdrop. Much of the first season of "True Detective" was filmed on location in New Orleans and Plantation Country. See the gorgeous Oak Alley oak trees for yourself by purchasing discount admission to an Oak Alley Plantation Tour! As the most intact plantation of Plantation Country, Evergreen has achieved the nation's highest historic designation. Once home to a massive slave workforce, Evergreen still displays 37 buildings and 22 slave cabins, kept in pristine condition since the estate's 1790 construction. With one of the largest slave populations among the New Orleans' Plantations, Evergreen has served as prime real estate in many period pieces. One of the most popular films made at Evergreen is the 2011 Jamie Foxx epic action pic "Django Unchained". Django Unchained tells the story of a brutalized slave who seeks retribution for crimes done to him and his family by a savage Plantation owner played by Leonardo DiCaprio. One of the most popular scenes in the film was shot on the magnificent front spiraling steps of Evergreen. Felicity and St. Joseph are sister plantations located on the banks of the Mississippi River. The grounds still contain an original barn, detached kitchen, blacksmith's shop, carpenter's shed, schoolhouse, and slave quarters house, which make these two plantations an ideal setting for period films and haunting cinema alike. In all, Felicity and St. Joseph Plantation contain 2500 acres of history! Felicity and St. Joseph's museum-quality buildings make for the perfect backdrop to many of TV and Film's greatest works. The modern remake of Roots utilized this plantation property for a realistic depiction of life during the era of slavery. Several more period pieces including 12 Years a Slave and Underground were filmed on-site and feature the main houses as well as other historic buildings and items. Explore the original slave cabins, schoolroom, blacksmith shop and more on a St. Joseph Plantation Tour! One of the newer Plantations on our list, Felicity was built around 1850 for sugar farming. The quaint nature of the home is highlighted perfectly in the modern horror classic "The Skeleton Key." Kate Hudson acts as a hospice nurse caring for one of the homes' elderly occupants, but the houses history of voodoo and supernatural occurrences make for an uncomfortable stay. The understated mid-19th century architecture, paired with a past slave occupancy, brings out the potential for mystery in the walls of Felicity Plantation!